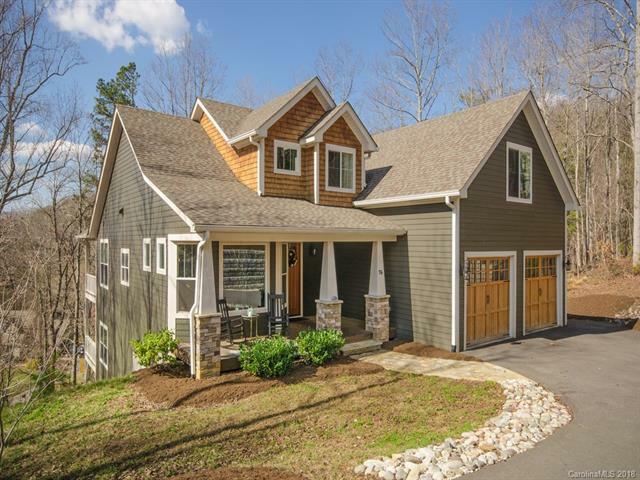 This 3 year old Arts and Crafts style home is in North Asheville in beautiful Beaverdam. High ceilings on the main floor, lots of windows, red oak hardwood floors, wood-burning fireplace, open floor plan, granite counters and tile floors in the baths. There is a covered front porch, covered & open back deck to enjoy the mountain views, double garage main level and a full unfinished, walkout, daylight basement with high ceilings.